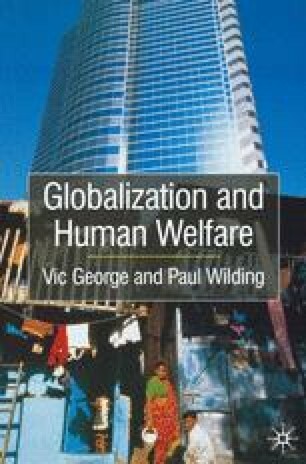 Our concern in this chapter is with the overall impact which globalization has had, and is having, on human welfare in advanced industrial societies. The chapter has two parts. First, we analyse the impact of globalization on a number of key social problems. Second, we explore its impact on social policies starting with a discussion of key general issues. Then we look at the impact on the heartland social policy areas, health, education and social security. We leave on one side the question of the impact globalization has had on economic growth, on culture and values and what that has meant for human welfare.